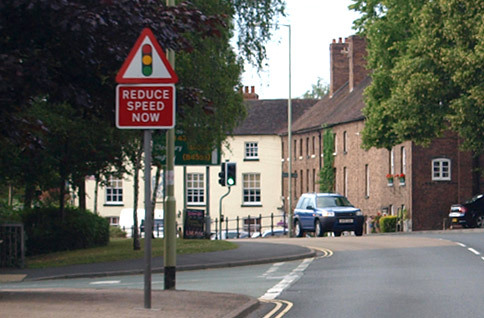 speed is one of the main causes of fatal road collisions. 3,000 people a year are killed or seriously injured in speed-related crashes. a pedestrian hit by a car at 40mph is four times more likely to die than one hit at 30mph. Many people don’t know the speed limits for different vehicles on different roads. See the national speed limits. The minimum penalty for speeding is a £100 fine and 3 penalty points on your licence. You could be disqualified from driving if you build up 12 or more penalty points within three years. the difference of a few miles per hour can mean the difference between life and death. The faster you drive, the less time you have to stop. the speed limit is a maximum not a target. In some conditions, like fog, rain or heavy traffic, even driving at the speed limit is too fast. think about the consequences of causing a collision by speeding: you will have to live with the emotional consequences of causing death or injury.